This list includes several fast food chains you might not expect. If you’ve ever worked in the food service industry, you probably know it can sometimes be a thankless job. Hungry, frustrated crowds are probably a big part of your day, and you might be contending with long lines of impatient customers. Some companies, though, strive to make working in the food industry just a little less stressful. 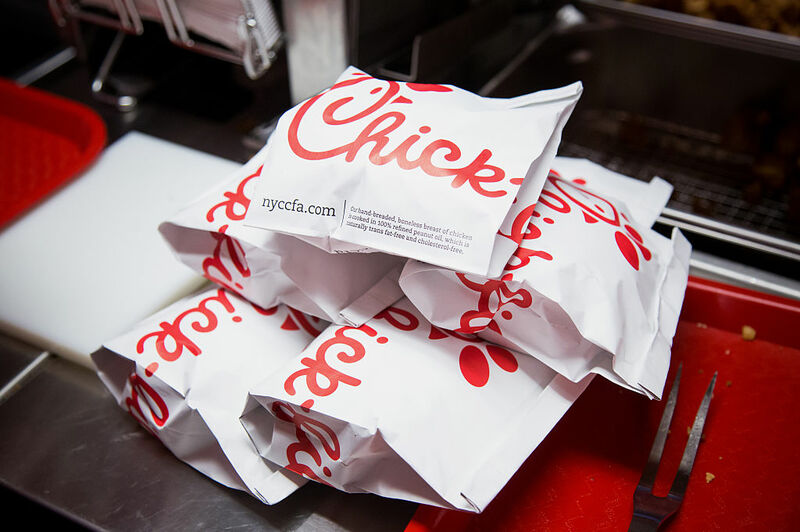 Glassdoor, the service that connects job-seekers to potential employers, has gathered together its list of the Top 100 best places to work, and this year’s lineup includes several surprising fast food companies. Coming in just below Facebook, In-N-Out ranked as the fourth best place to work in 2017 (outranking even Google). According to one employee, the company offers flexible scheduling, excellent benefits, and a free meal every time you work. The only other restaurant on the list—if you want to use the term—is Chick-fil-A, which came in at 72. A manager described working there as a “great first job.” So while you might expect fast food restaurants to underpay and offer only unstable schedules (which some certainly do, and have recently come under fire for those practices), that’s clearly not the case across the board. At the very least, employees at these fast food chains like their jobs enough to overlook the hoards of hungry diners who probably line up at their registers every day. Two grocery stores also made the cut: Wegman’s came in at number 49, while Trader Joe’s—which has been named one of the best places to work before—came in at number 70. Starbucks also made this year’s rankings, which probably won’t surprise you either (although to be fair, employees at the coffee chain have some serious complaints about working there), coming in at number 96. E. & J. Gallo Winery also appears on the list, at a very prestigious number 14. Three airlines also made this year’s list: Delta, at number 17, Southwest at 23, and United at 55. Many airlines have been instituting some new perks—like offering deep dish pizza on some flights—to try to make up for some of the highly publicized missteps that have taken place on planes this year. The Walt Disney Company also appeared on the list, barely making the cut at number 98. Update 12/12: A previous version of this article did not include E. & J. Gallo Winery. The article has been corrected.